Kids often master self-help skills at school before bringing their new found independence home. My preschoolers adore showing their parents the “flip trick”, demonstrating that they can, in fact, put on their own coat. Some of their success comes from teacher secrets, like the flip-trick. Other success is fueled by the power of peer pressure. 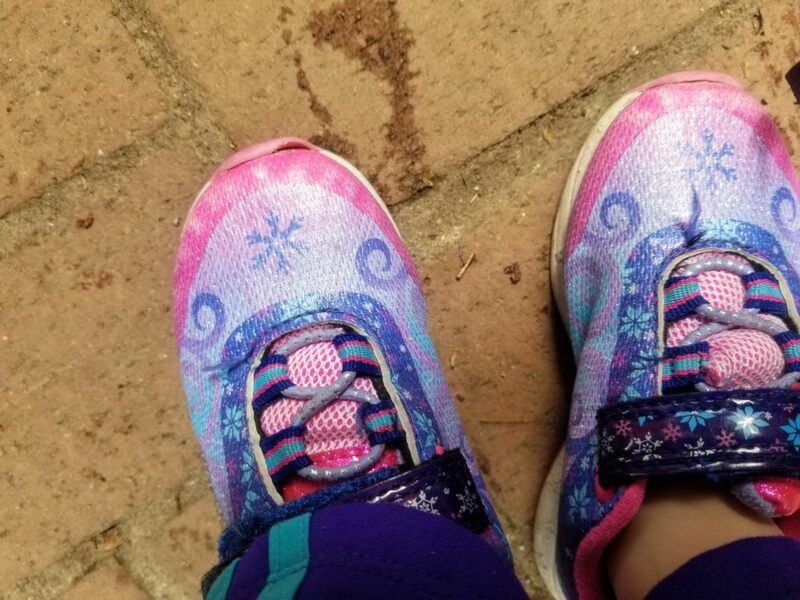 (Once your BFF put on her own shoes, you may find yourself a bit more motivated to learn...) However, oftentimes children engage in self-help activities at school first because the environment is intentionally designed to support and encourage their choices and practice. 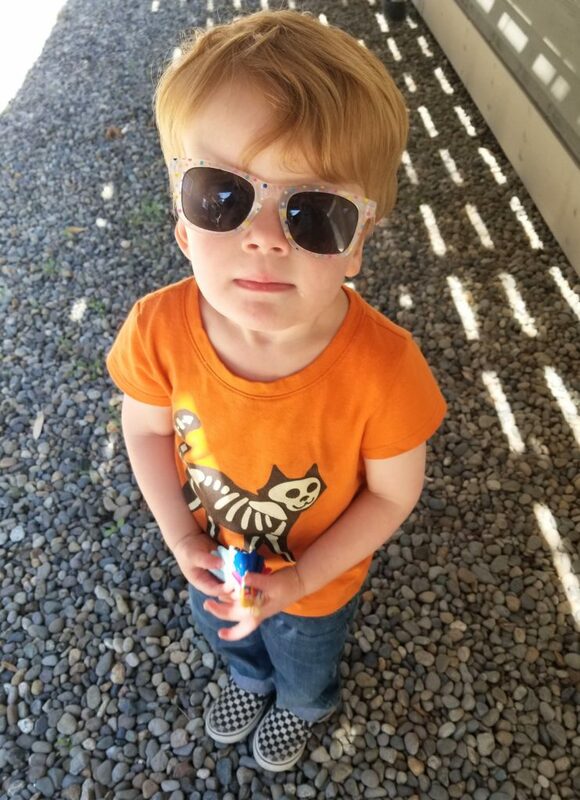 Over the last month, I put my classroom knowledge to work in my own home and transformed my three year old’s morning dressing routine. It’s been an incredible difference in our family morning rhythm! Instead of running around in circles getting Hudson ready for school, he wakes up, goes to the bathroom, picks out his clothes, and gets dressed. It has totally removed the hectic power struggles from our morning routine. He’s happier. I’m happier. And you’ll be too. First off, limit your child’s clothing options. It’s the paradox of choice. Too many options and they will feel overwhelmed and be unable to make a decision. Start by going through your child’s clothing and sorting it into two piles. The first pile is your child’s play clothes AKA the clothing they will have access to every day. It is important that play clothes are easy to put on and take off. If there are buckles or buttons your child has yet to master, save them for the closet. The second pile is for your dressier, difficult to put-on, extra, or out-of-season clothing, which will be stored out of reach. Hudson has access to about a week’s worth of clothing at a time. He gets to choose what he wears each day, but I control the options. Next, put your child’s clothing in a low, easily accessible place. We used to have this wonderful, hand-me-down dresser in his room that converted into a changing table. But Hudson couldn’t operate the drawers independently. So, we installed a bar under his loft bed, hung up his shirts, and his other clothing is organized in baskets underneath. He can access it all! As an added bonus, now he’s learning to put his clean laundry away, too! Time to practice is a crucial part of learning new skills. Maria Montessori, one of my educational heroes, once said, “never help a child with a task at which he feels he can succeed.” This is easier at school than at home. At school, if a child is struggling to put on his shoes, I can usually afford the time to sit with him while he practices. Of course, when the child wants help, we are always there to lend a hand. But, it is equally important that we don’t help unless it’s wanted. At home, putting on shoes usually means that you have someplace to be! It’s much harder to allow for time to practice when you’re on your way out the door. To combat this, build a little extra time into your schedule. Begin putting on shoes 10 minutes before you leave, instead of 2, or practice when you have free time with nothing else on the agenda. It is especially important that your child is not rushed when you are introducing a new skill. When Hudson became responsible for his morning routine, I started waking him up 15 minutes earlier. This helped give him the time he needed to practice his new rhythm. When your kids are learning a new skill or routine, walk them through the process at least the first couple times. 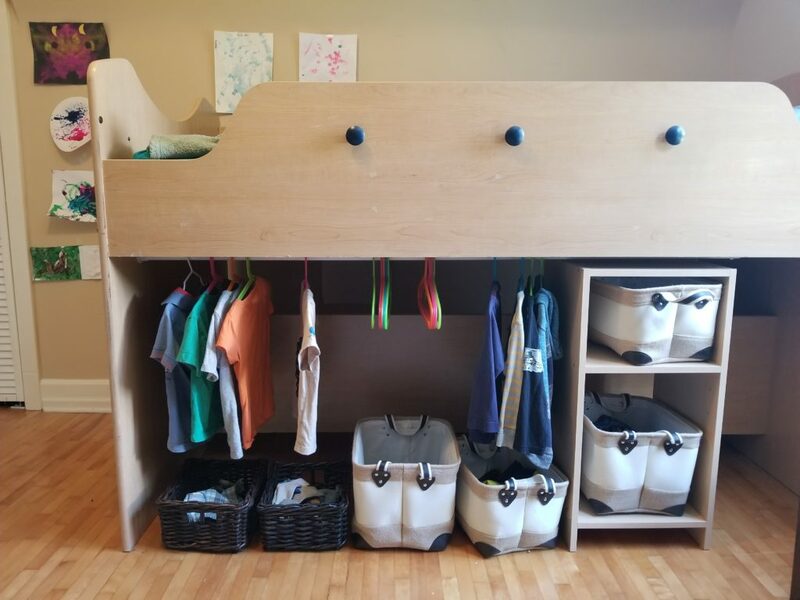 When we introduced Hudson to his new room layout and self-dressing routine, I walked him through where to find each article of clothing and helped him with clothing as he needed. It was important to me that he had a positive experience the first few times and that we didn’t have any power struggles. Keep it simple and easy at first. Then, after your child is comfortable and capable of the new expectations, it is time to start encouraging your child to go through the routine independently. You know they can do the steps, but it takes the motivation to learn to make it habit. Intrinsic motivation is always ideal. It would be great if Hudson got himself ready each morning because it is what his heart desires. But honestly, these days, my 3 year old wild child would much rather be naked. He enjoys picking out his clothes and practicing his independence, but there are definitely times he needs extra encouragement, too. Generally, I first try to lead with natural consequences, rather than using rewards. I try to find an already present carrot to tempt him through. On school days, I remind him how excited he’ll be when he sees his friends when he gets to school and that he has to be dressed before we can leave. I also set the expectation that he has to be dressed before coming downstairs. But, I’m not ashamed to admit that I’ve succumbed to full-on bribery, too. The important thing is to be consistent. Set the expectation that this is your child’s responsibility and follow through! What would you do in the mornings if you no longer had to help your kids get dressed, put on their shoes, and get ready to go out the door?